American Idol is back in search for the next superstar starting Monday, March 4 at 6PM with a prime time encore at 8PM. American Idol have been searching for aspirants in a cross-country audition tour, set to join in one stage in an all-new episode on Thursday, March 7, rounding out a talent-filled premiere week. 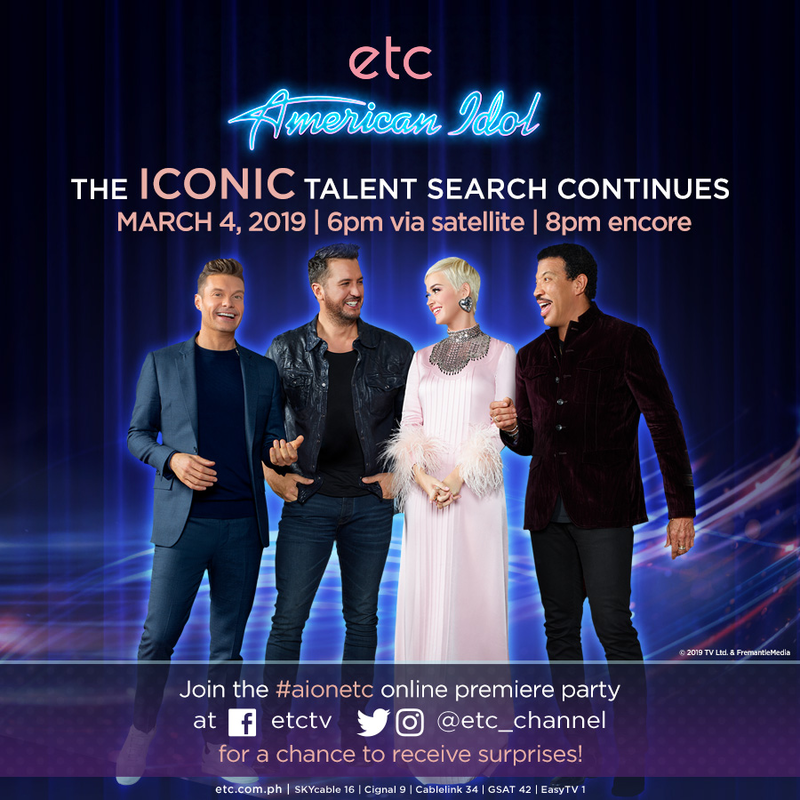 The two-hour episodes will continue on ETC every Monday and Tuesday weekly hosted by Ryan Seacrest with Idol judges Lionel Ritchie, Katy Perry and Luke Bryan. Contestants who advanced out of open auditions and past producers got their first chance to perform in front of judges.Stay tuned for American Idol All-Star Duets with participation from artists such as Jason Mraz, julia Michaels, Likas grahan, Elle King, and Shaggy. For all American Idol updates and happenings, visit ETC on www.Facebook.com/etctv, on twitter and Instagram via @etc_channel, and log on etc.com.ph.